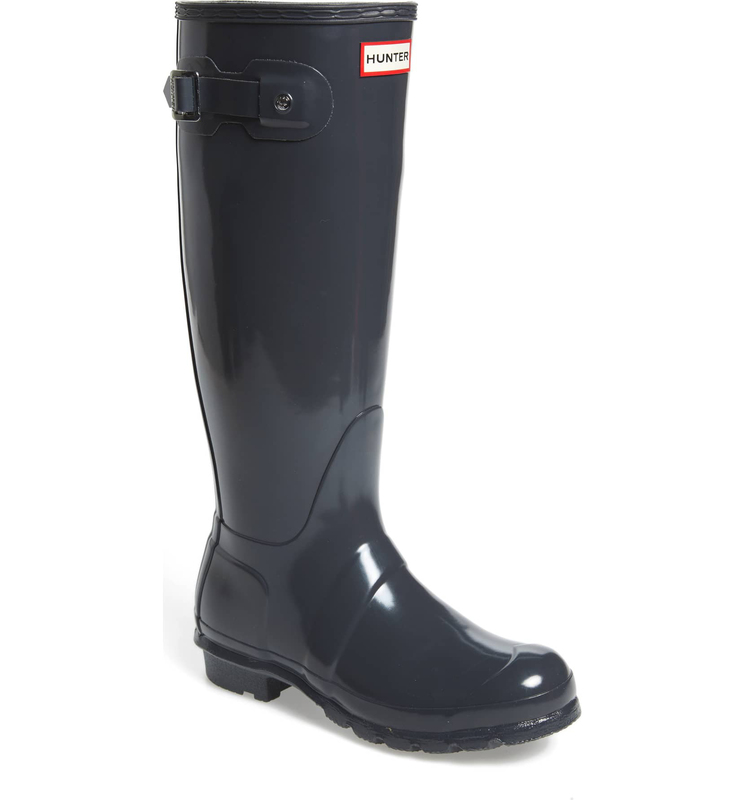 Over 1,000 Shoppers Gave These Hunter Rain Boots a 5-Star Review — Plus They’re Up to 50% Off! High-quality rain boots can leave a dent in your bank account, so when we spied this durable, glossy pair at Nordstrom for just $100, we had to share our find. Strong, and durable, these boots are designed to complement your outfit, rather than look misplaced. See it: Hurry to catch all our favorite Hunter Boots on sale now up to 50% off! Made with a 16” boot shaft, the Hunter Original High Gloss Boot will keep your legs dry no matter what Mother Nature has in store. Made with a traction-gripping sole and side adjustable buckles, this shiny pick will keep you cozy and comfortable while walking through grass and concrete without the fear of any slippage. The boots come in two shades, a dark gray and a bright pink. With whole sizes available from five up to 11, there is no better time to take advantage of their fully stocked inventory. There’s a reason over 1,100 shoppers are #TeamHunter and proud. Nordstrom reviewers are loving how perfect the width feels against their calves. Buyers also noted how these boots keep you comfy and cute while being protected from the elements. Many recommend pairing them with Hunter fleece socks (which are specially made for pairing with the boots) to keep your feet warm on snowy days. Keep in mind, consumers recommend sizing down if you fall in the half-size mark. See it: Snag the Hunter Original High Gloss Boot at Nordstrom for 33 percent off the original price of $150, now only $100. Hurry to catch all our favorite Hunter Boots on sale now up to 50% off!